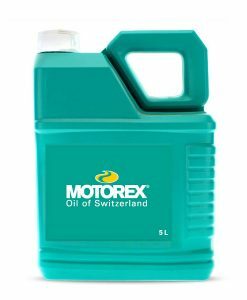 Biodegradable, fully synthetic oil wax-based lubricant. 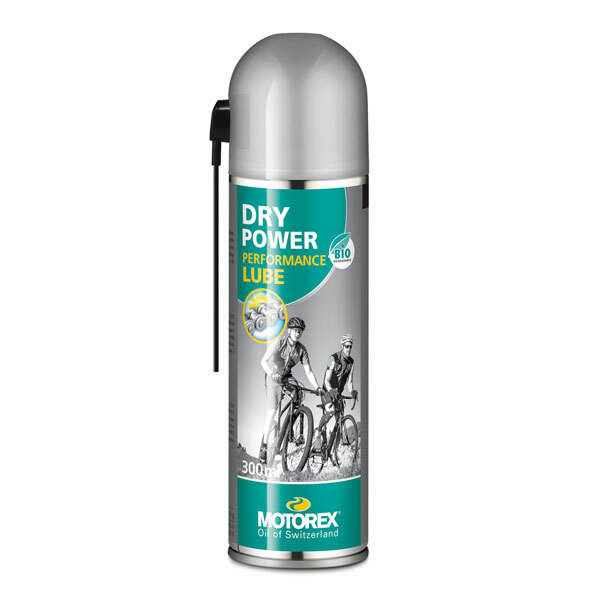 The MOTOREX DRY POWER penetrates faster and forms a homogeneous surface that protects the chain against dirt and dust. This lubricant provides enhanced lubrication combined with outstanding protection against corrosion and wear and reduces abrasion. 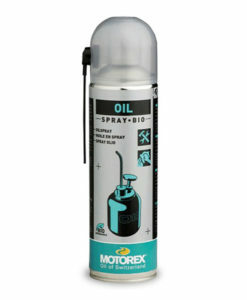 Ideal for lubrication in dry, dusty conditions. 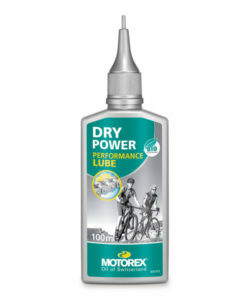 After cleaning, lubricate the dry drive chain with one of our chain lubricants. 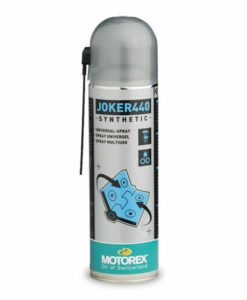 The toothed rack casing does not need to be treated separately, because it is adequately lubricated by the chain itself. 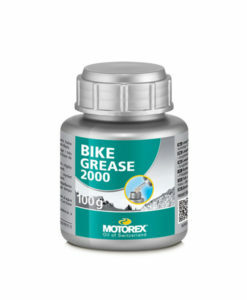 It makes more sense to lubricate the chain with a small amount of lubricant at regular intervals rather than lubricating the relevant components with a lot of lubricant once a year. When applying lubricant, always make sure that no spray or oil is allowed to make contact with the edges of rims or brake discs. 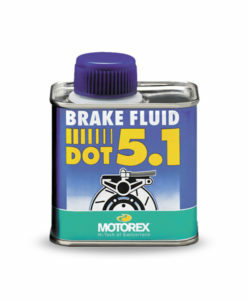 Apply the chain lubricant to the inner side of the chain. When doing this, hold a cloth under the chain in order to prevent the ground from becoming dirty. 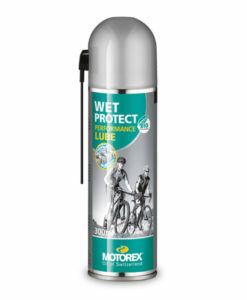 Turn the pedals evenly and slowly as you lubricate the chain (approx. four rotations are adequate). 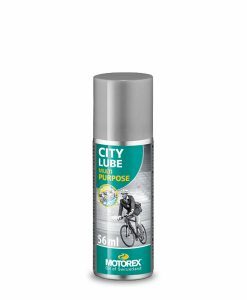 Remove excess lubricant with a cloth. 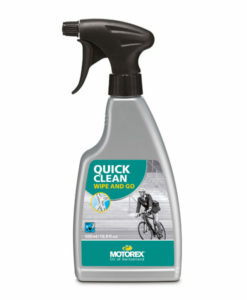 Give the oil enough time to act – preferably overnight.